This book examines one of the more common and wide-spread methodologies to deal with uncertainty in real-world decision making problems, the computing with words paradigm, and the fuzzy linguistic approach. The 2-tuple linguistic model is the most popular methodology for computing with words (CWW), because it improves the accuracy of the linguistic computations and keeps the interpretability of the results. The authors provide a thorough review of the specialized literature in CWW and highlight the rapid growth and applicability of the 2-tuple linguistic model. They explore the foundations and methodologies for CWW in complex frameworks and extensions. The book introduces the software FLINTSTONES that provides tools for solving linguistic decision problems based on the 2-tuple linguistic model. 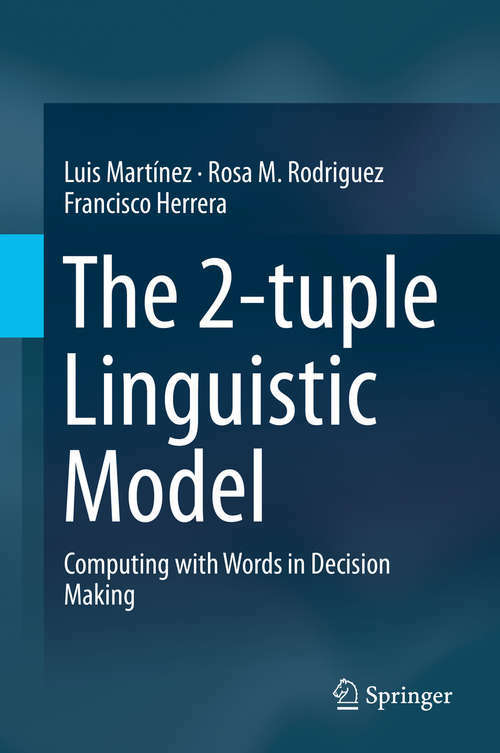 Professionals and researchers working in the field of classification or fuzzy sets and systems will find The 2-tuple Linguistic Model: Computing with Words in Decision Making a valuable resource. Undergraduate and postdoctoral students studying computer science and statistics will also find this book a useful study guide.